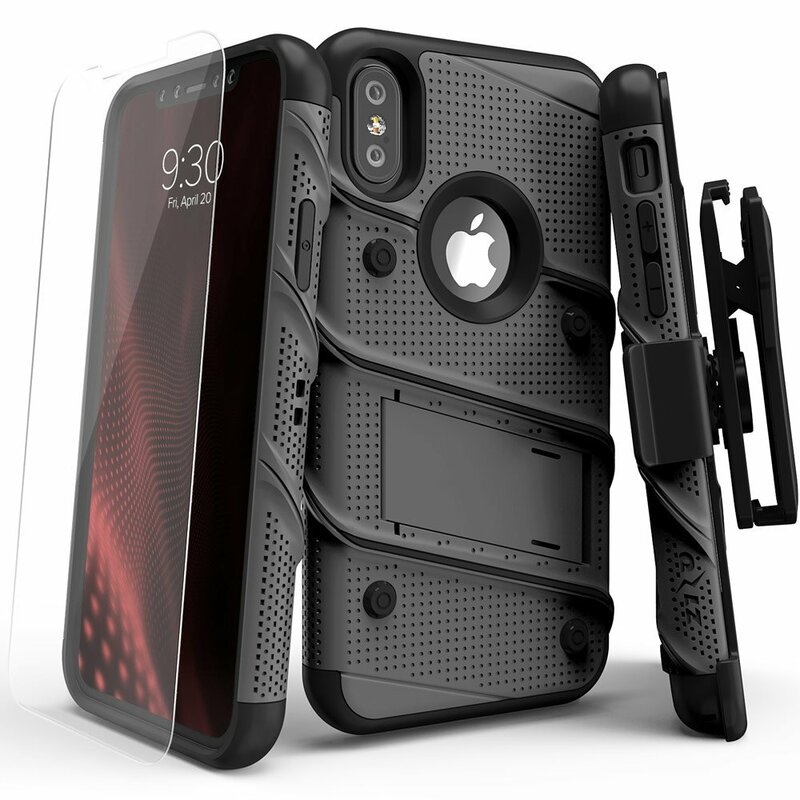 The Zizo Bolt Iphone X case has an original design that looks stunning. This case comes in up to 10 different colors, offers great protection, and even has a kickstand on it. We will be getting into more of the benefits and specifics, but also have some live video you can check out below as well. The thing I really love about this case is of course its great design. While it comes in up to 10 different colors we chose to go with gun metal which looked stunning. 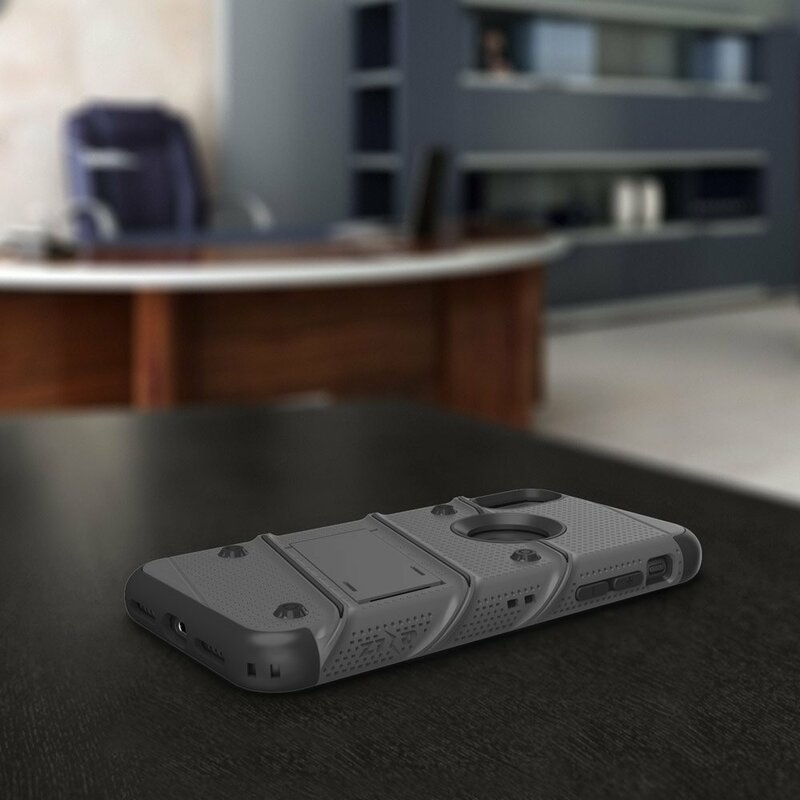 It is essentially a completely rugged case making it easy to grip. 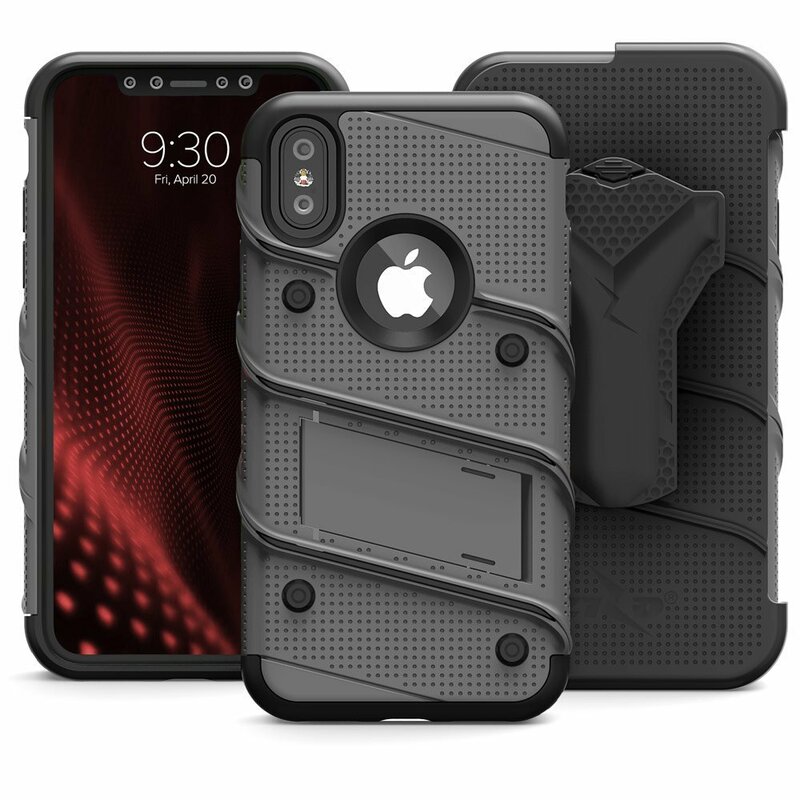 Taking the Zizo Bolt Iphone X case in an out of your pocket will be extremely easy. This case will also offer some great overall protection from drops, cracks, and scratches. It lips around your iphone giving it some great front facing protection as well. As far as wireless charging you will not have any issues as it works perfectly. 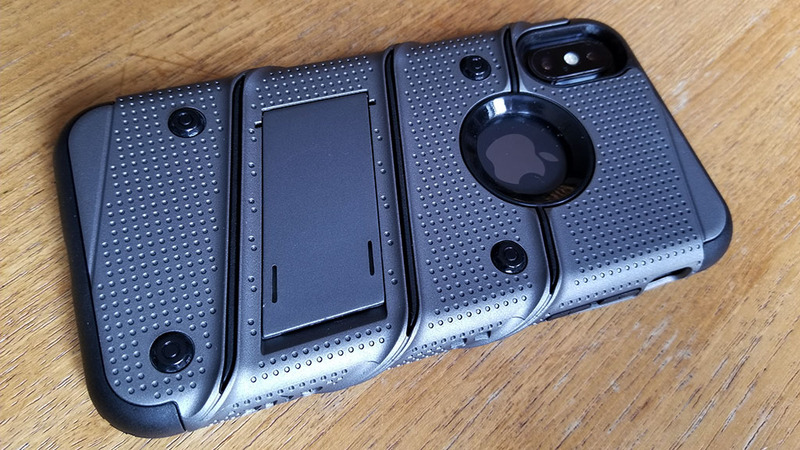 The Zizo Bolt Iphone X case is a bit on the heavier side at 3 ounces, but also comes with a couple of extra features. One being the amazing kickstand which is spectacular. You can apply quite a bit of pressure while using it without having to worry about the stand snapping off. Its also great for watching videos or playing games with your iphone upright. It also comes with one other bonus which is a glass screen protector.